For the past 2 weeks, I had a wonderful Chinese New Year celebration with family, relatives and friends and feast on nice cuisines and goodies knowing that all expenses will be paid for by Cogent. I posted this stock here on 14/1/17 and entered the next day @ $0.71. I just exited 2 days ago @ $0.80 with a nice profit of 12.6%. Currently, I am still holding on to Geo Energy Resources and OKH Global waiting patiently for the profit to grow BIG before harvesting. This is one of my favourite stocks. Today there is a signal to enter again. Great! Today, when I opened my trading account, 90% of the counters in my watchlists are red. It has been many months since I last saw this. However, most of the counters’ selling volume are low. 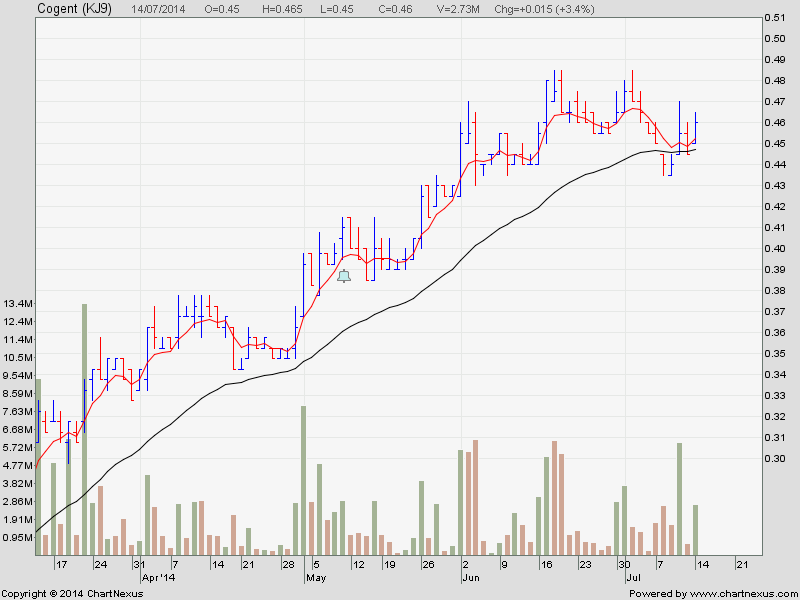 STI may reverse in the near term. Those having positions, tighten your stop loss. 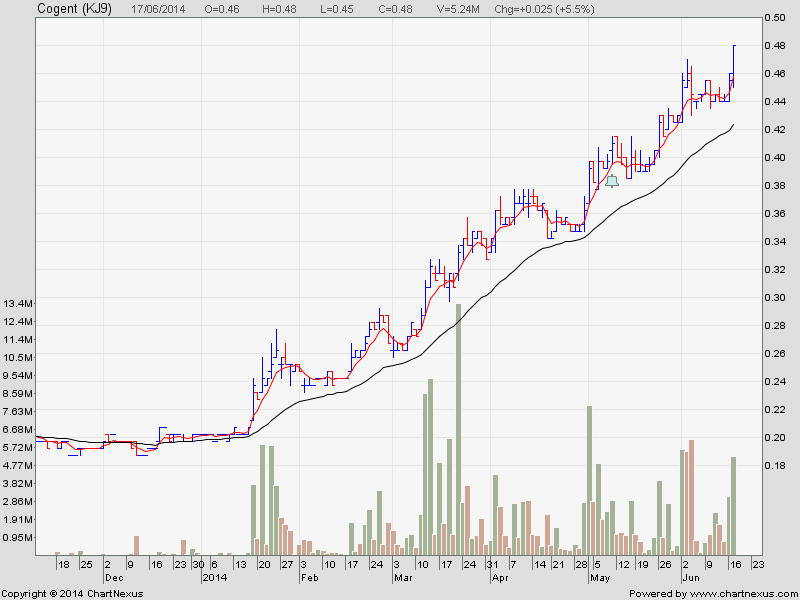 Cogent is one of my favourite stock to trade. You can enter this stock again if you miss it previously. Take note of Jes and LCD Global. 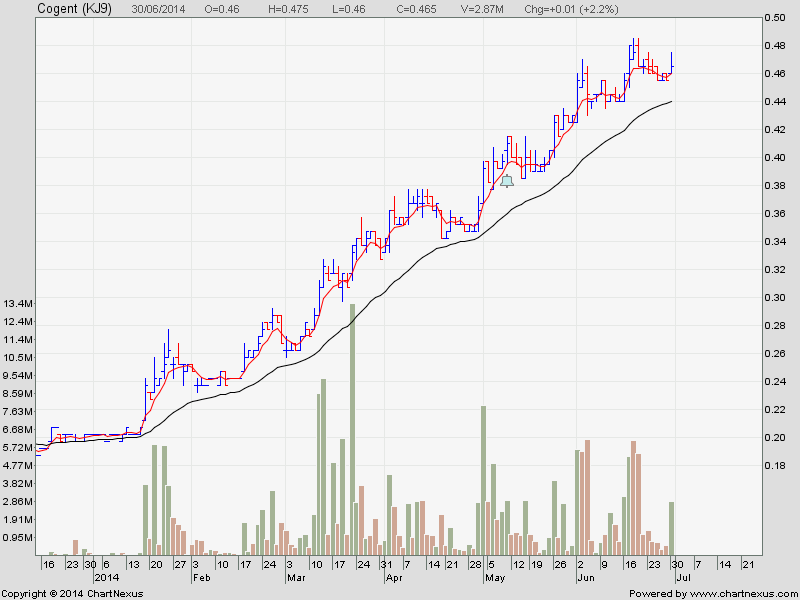 Cogent is a super nice trending stock with healthy volume.